£371.83+ The Extremest Node 202 Build! Pics and detailed notes inside. Plenty of power and I like the Vram for the future. Could easily run a single 1440 monitor. Very good so far. It can get a little hot but it's totally manageable. It's very large so it will make finding smaller cases harder. This is my most expensive part and it is definitely worth the money and is a powerful graphics card. I'm able to play pretty much every game above 40 FPS and maintain that throughout my sessions which is awesome and was a great choice for this build. This is a surprisingly big GFX card. A large case is required if you don't want to remove drive bays to get this monster inside. Totally silent when not in gaming mode. Great value for money. Amazing card, handles all games I throw at it over 60fps and that's without any overclocking. It is a big card due to triple fans, but that just makes is seem more awesome to me! With a custom fan curve this thing won't reach temps higher than 60C, though admittedly the fans can be pretty loud under load. 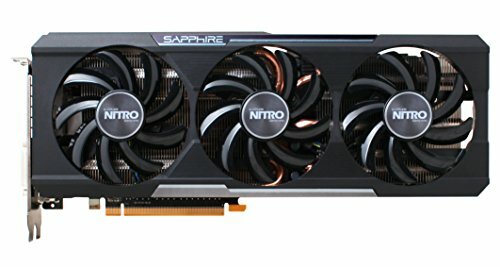 Easily the best price to performance card around right now. Absolute sweet spot in terms of price to performance. There is no game that I can't run at acceptable frame rates right now maxed out. Now heavily modded fallout 4 and GTA V give it a bit of a hard time, but still playable. This particular card doesn't OC as well as some others, but the silicon lottery is a cruel mistress. Still slaying games though. Also a very sleek looking card with an awesome backplate.